Less than a month ago we opened up our advanced quantum processor to the world at large, letting members of the scientific community and the general public register for access to a quantum computing platform they could use from any desktop or mobile device via the cloud. Since the launch of the IBM Quantum Experience, we now have more than 20,000 registered users who have read our tutorials, are testing algorithms, and have run more than 100,000 experiments, including 4,000+ real device runs, on our 5-qubit quantum processor. The users come from every corner of the earth, literally, including Antarctica, where Dr. C. Corbett Moran, a scientist currently working on the South Pole Telescope on-site in Antarctica with the University of Chicago, has implemented her own simulator in python. The Quantum Experience has also resulted in new scientific papers, with researchers at University of Barcelona and RIKEN Center for Emergent Matter Science in Japan trying to characterize the full device and sharing the results of their experiments. 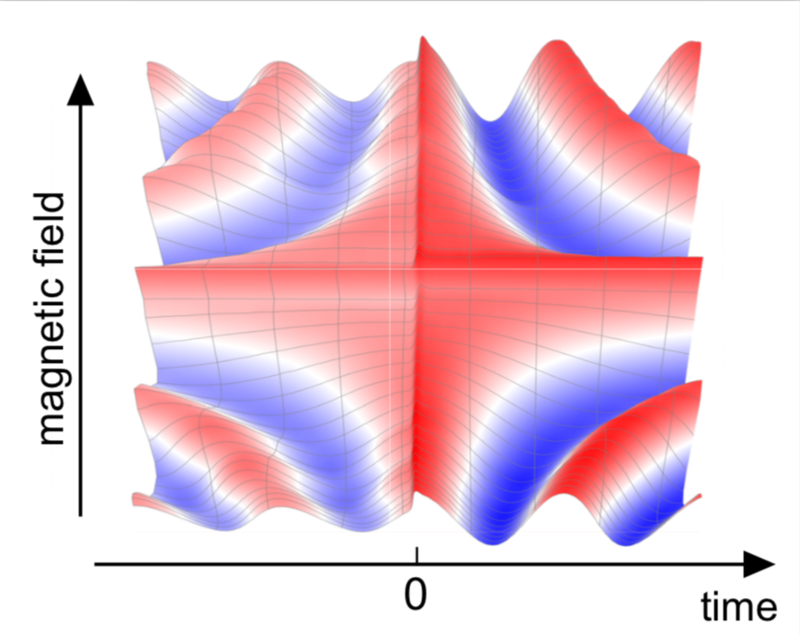 We have found overwhelming enthusiasm from programmers to the academic community who are now blogging and teaching their students about this new way of thinking about quantum mechanics and computation. We’re especially pleased to see how many students are actively using the Quantum Experience. Physics professors are treating the Quantum Experience like a teaching tool, encouraging undergraduates to apply theory they’ve learned in class to an actual piece of quantum computing hardware. Many of these users are visiting our platform to learn about the fundamentals of quantum mechanics and get hands-on practice. Beginners are doing everything from learning to execute small quantum algorithms that show uniquely quantum properties, like superposition, to making simple entangled Bell states. People are beginning to advance from using two qubits to three or four, as well as making use of the full 5-qubit processor capabilities to run novel algorithms. 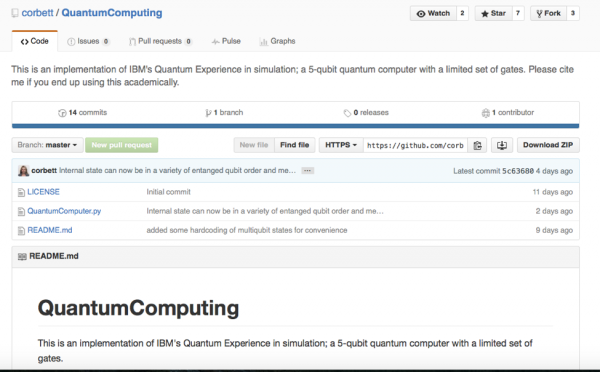 Our quantum computing cloud platform is not limited to scientists and physicists. In fact, we have seen gaming enthusiasts and consumer users get excited about this moment and even though we’re barely out of the gates, no pun intended, we invite anyone who’s interested in learning about or using a quantum computer to join us so we can grow the community. Requesting access is a simple first step and whether you’re a novice who wants to learn some quantum mechanics 101 or a theorist eager to tinker with 5-qubits, this kind of open innovation will allow for the next stage of development in quantum information technology and help push a universal quantum computer to reality even faster. Our ultimate dream is that future quantum computing breakthroughs, not yet imagined, may get their start or inspiration on the Quantum Experience with help from the community. 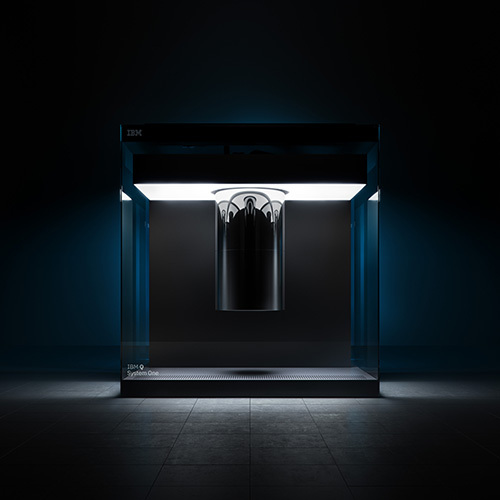 Research in these breakthroughs is ongoing in the IBM Research Frontiers Institute, a consortium that develops and shares groundbreaking computing technologies and explores their business implications, and where future quantum applications are being explored in multiple industries with member companies. Right now though, our team is engaging with all the feedback; we’re tailoring all elements of the Quantum Experience to make it more functional and community-oriented. We’re adding more tutorials and hope to do more to help galvanize the community through workshops and events. Having this community behind the platform is critical, where people can ask questions of one another, share their observations, suggest new approaches. This is how we’ll all learn faster, change the way we think about computing and discover quantum computing’s full potential.